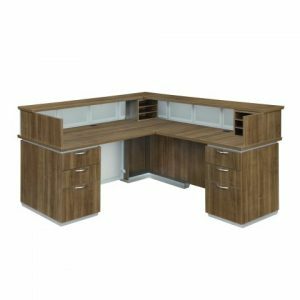 The right furniture won’t just enhance the functionality of your workspace in Dunwoody, Georgia, it can also complement your office decor, making it as both aesthetically pleasing and accommodating. What’s more, when you come to NorthPoint Office Furniture for your pieces, you won’t have to sacrifice your budget in order to get premium, durable furniture. That’s because we carry the upper echelon of products and brands, offering our customers furniture from trusted manufacturers like Global, Martin Furniture, HON, Humanscale, Offices to Go, Fairfield Chair Company, and others. Regardless of the type of office decor you prefer, you’ll be able to find pieces that fit your tastes at NorthPoint Office Furniture. We carry contemporary furniture with clean lines and minimalistic details. We also have traditional, ornate pieces, as well as furniture in a transitional style for those who prefer classic, timeless designs. To learn more about how our pieces can complement your office decor, contact NorthPoint Office Furniture today. We’re proud to have been serving Dunwoody, GA, since first opening our doors in 1994.